It would be great to see a list of the patches if its included in the manual. I am not looking for "prepared" patches, sound design or anything that isn't a part of the original organ. Also, how are the drum machines sampled and provided? Are there kits made of single hits? Sliced loops for tempo sync? Midi Patterns? Any info to help me choose between the two is most welcome, as I cant afford to pick up both this time around. We have manuals for our libraries when there is a GUI to explain, in some other cases also but for the libraries that is just presets we don't think is necessary and a patch list with names says little. Its difficult to recommend but you will get a lot of nice sounds no matter what library you choose. The U90 drums is LoFi sampled and the D-85 is completely analog. We have recorded all grooves (slow tempo) with fills and sliced them up in Rx2 files and also recorded the single hits and mapped them so you can program your own grooves. The U90 has so much better demo songs, thanks to Skinny who is a master, in my opinion, to make the type of demos that presents transistor organs at its best. 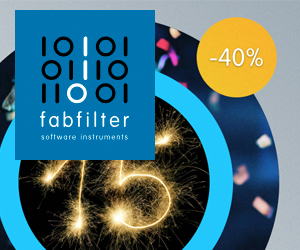 Both libraries are great value and inspiration for the price, and now its 50% off so it's even better! I ended up buying the U90 for now, but I will probably pick up the D-85 later on. I like the instrument, and it will work splendidly for what I had in mind. You may also take a look at the Tranzitone if you use Kontakt 4 or above. 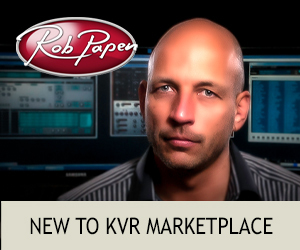 There is no drums in that library but its a virtual D-85 organ with added filters ADSR envelopes and a lot more for a great price. I'm currently buying the D85 sampleset, and I notice that the U90 and other samplesets are currently discounted. I can't see any limit date to these discounts. Are there limit dates? If yes, do you agree to tell us what they are? I want to buy ALL these samplesets ! But of course it would be be nice if I could spread these purchases... without missing one of these discounts. Especially considering that today I take the D85 sampleset while my monthly money is limited. I can't believe it ! I've just taken in a ONE order the D-85, the Eminent 275, the ACE 3000, the Mighty U90, and the Farfisa Melanie Deluxe ! It's my wife who will be happy ! Pfff... It would be forbidden to make so beautiful samplesets... and so splendid demos ! How do you want us to resist after having heard so wonderful demos, hmmm? And next month I'll take ALL the vocals !!! They are absolutely incredible !!! A little discount coupon in my account? 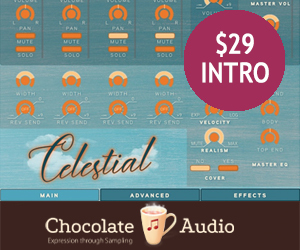 I've just purchased Angelic Vocal Pads 1, 2, and 3 (and the splendid celtic whistles). So... it will be for July because with my disability allowance I can make big purchases only at the beginning of each quarter. But Oh my God !... What a splendid catalog ! A request to Lars Westin at Precision Sound : Lars, I know that you all are Swedish, so you certainly are able to make a great (and very original because not existing anywhere currently) sampleset for two Swedish traditional instruments (so, two samplesets) that I would REALLY LOVE to have in my collection of true folk traditional instruments from Ancient ages: the nyckelharpa and the hummel (långharpa). It is obvious, Lars, that at Precision Sound you know one or two players of these two incredibly beautiful Swedish instruments around you. We have a nice Nyckelharpa here that we are going to do a library with, in the future I hope. precisionsound wrote: We have a nice Nyckelharpa here that we are going to do a library with, in the future I hope. I'll be obviously one of the first purchasers ! I DO love all these traditional instruments of our old European countries and from the whole world. Played alone in ballads or in formation with other samplesets of Renaissance or countryside instruments or with fully modern instruments (pianos, synths, electric guitars, electric violins, etc.) they keep on showing their full interest and will still do for decades and perhaps yet new Centuries if we don't forget them in the dust of old sheets. Even software samplesets users contribute to maintain the true wooden instruments alive by giving people the pleasure to continue to discover them and listen to them in albums or on local stages... and in consequence by giving also classical musicians and folk musicians (and sometimes pop and even modern rock musicians, see Jon Anderson, Ritchie Blackmore and many others) the wish to get one (even if hard to find, there is also a pleasure to search for them in countrysides) and play with, alone in front of a public or better: as part of traditional or mixed bands. It is very important to continue to maintain these sounds alive... in order to maintain the Ancient traditional melodies alive too in that plastic and electric modern word. In France we have many very old instruments almost forgotten, which were (and remain) typical of some regions of our country: the "cabrette" in all the center of the country and the "boha" in the South-West (between Bordeaux and the Pyrenees mountains) are bagpipes much less known than the Celtic bagpipes but which remain used by traditional bands, the "biniou" is a famous kind of Celtic clarinet played only in the west (our French region named Brittany) and the "cialamella" is another kind of clarinet this time from our Southern Island named Corsica, the "fifre" and the "pirula" are some special flutes which were played originally by shepherds and very popular in the South (in Provence) and in Corsica again, etc. And I'm pretty sure that there are many other old traditional instruments which would throughout all the Scandinavia merit to be unearthed so to be rediscovered by the modern musicians thanks to excellent sample sets made with them. Wang Li is Franco-Chinese, like me. But he is more Chinese than French! 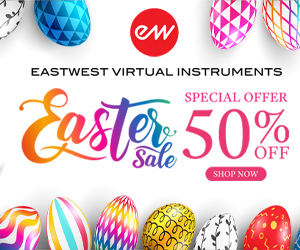 Our "Dan Moi – Vietnamese Jaw Harps" library is the library you should take a look at if you want "Mungiga"
And we also have ur big spring sale right now so you get 50% off on all libraries! The rebate is calculated after you add a product to the cart, the "Dan Moi" price is 29 regular but now you only pay 14.50 USD etc.